Experts in Central Heating & Boilers based in Haslemere. 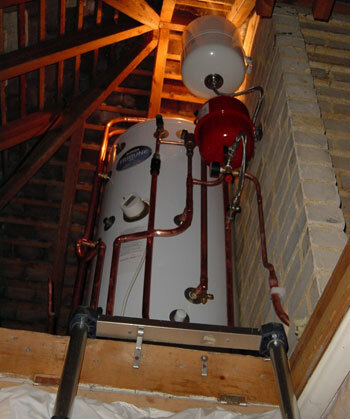 Our dedicated team of central heating & boiler engineers have many years’ experience of installing, servicing and repairing boilers in homes across Haslemere and the surrounding area. Whether you’re looking to upgrade your central heating, service your existing boiler or are installing a new system, our honest, expert advice and service will ensure we deliver the right solution for you. Buxton Heating have a high degree of knowledge and experience of installing a wide range of domestic boilers including Worcester Bosch boilers, for whom we are accredited installers. Whatever the boiler, our team of specialist installers will ensure the work is carried out to the very highest standards, and we pride ourselves on providing absolute peace of mind for our customers. To ensure your boiler continues to work correctly for many years to come, it is important to have it serviced annually. We service boilers in homes across the Haslemere area, and will not only inspect the boiler, its controls and operation, but also perform a flue test to ensure there are no harmful emissions. The benefits of using central heating are its convenience, cost effectiveness and ease of control thanks to the use of a thermostat. However, if you don’t already have a gas central heating system, installing a new system can be expensive to implement and disruptive to a family household. This is why we offer a range of central heating installation options, when you choose to have a heating system installed by our plumbers and technicians. These include solar systems, hot water cylinders, and thermal heat stores. In order to improve the cost effectiveness of houses fitted with gas boilers or central heating, Buxton Heating offers professional consultancy, which includes a written report on your homes efficiency and individually tailored improvements, as well as ensuring that your system complies with current safety guidelines, so you can feel confident of our plumbers’ capabilities when choosing us.